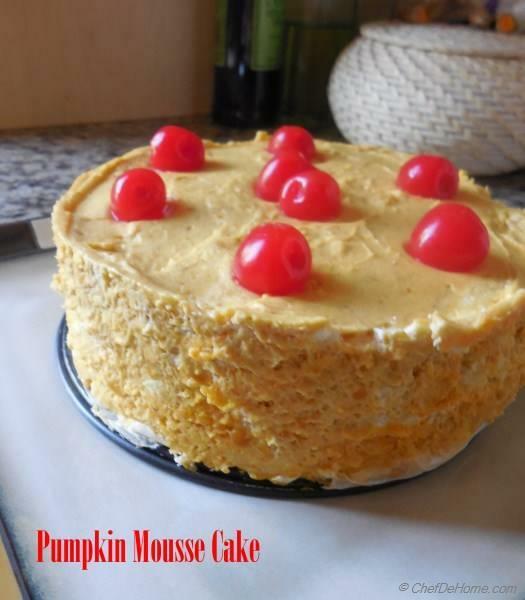 This Pumpkin Mousse with lite airy texture will earn you a lot of praise. This is my most demanded and loved no-bake dessert. I have made it just with gelatin and no eggs. 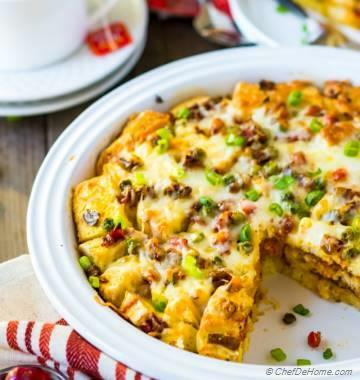 Yes, you heard right, it is egg-free. 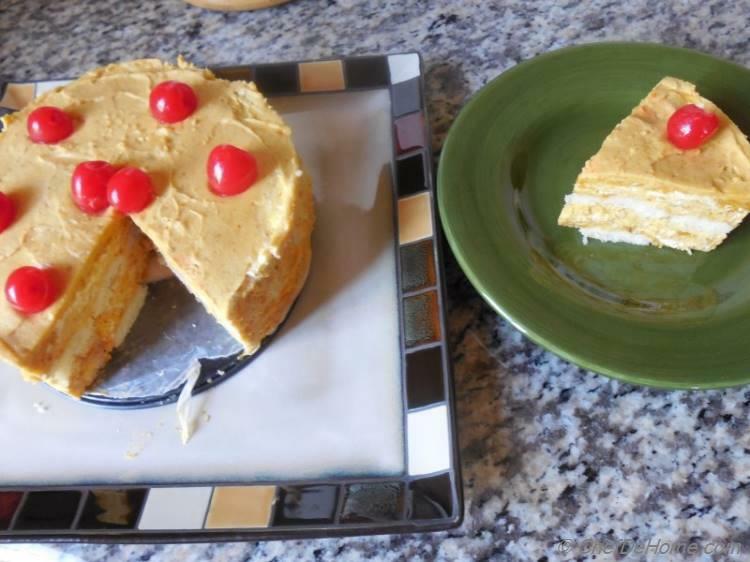 One of my favorite cake to make during our no-egg, no-meat diet time of the year. 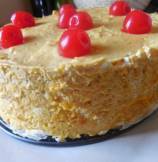 But today I just made to share the recipe with you all. 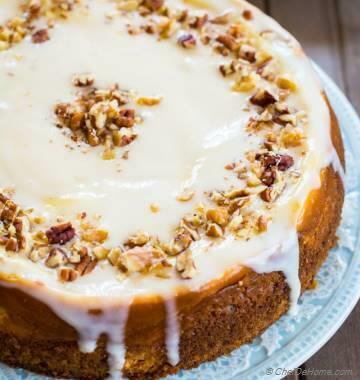 Lite like air this cake melts in mouth and warm spices - nutmeg, cinnamon, cloves with pumpkin and above all orange liquor makes it perfect treat for holidays. Start to finish, it needs about 25 minutes to assemble. 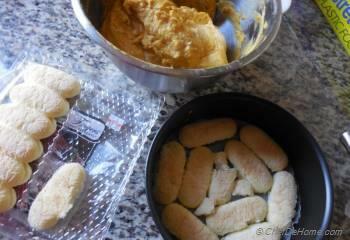 I have layered spongy ladyfinger cookies between the pumpkin mousse. Chocolate chip or ginger cookies will also be perfect. 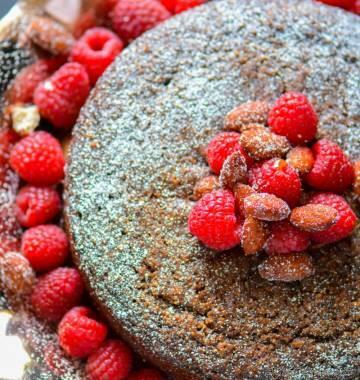 If you don't have time to bake cake this Christmas, consider this cake a lifesaver and time-saver. It will save you ton of time. 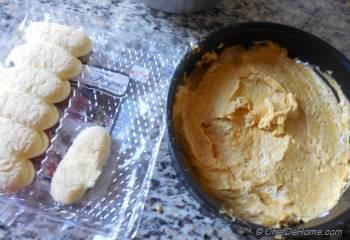 Assemble it one day in advance and let it set refrigerator to be ready Christmas Dinner. Lets get to the recipe with holidays cheers from my family to yours. 1. 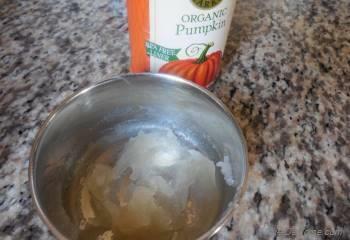 Mix gelatin with 4 tbsp of warm water and leave for 5 minutes. 2. 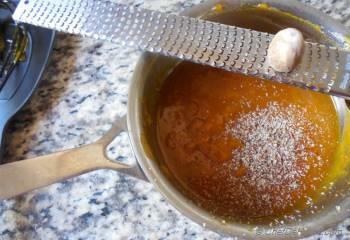 In a saucepan, combine pumpkin puree and sugar and stir at medium heat till sugar has dissolved. 3. Remove from heat. Mix in gelatin. Add all spices. Freshly grated spices are always taste fresh and potent. 4. 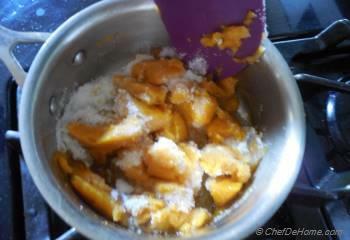 Mix in orange liquor and orange zest. 5. 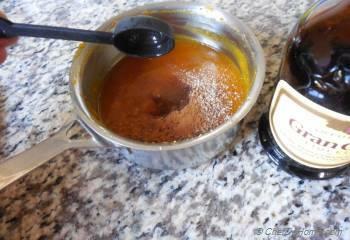 Transfer pumpkin mixture to wide mixing bowl. Whip heavy cream till soft peaks form. 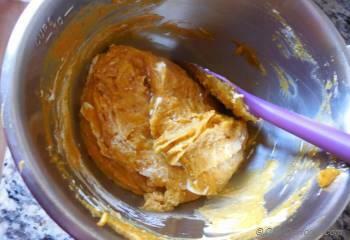 Mix in 1/3 of whipped cream into pumpkin mixture to lighten it up. 6. 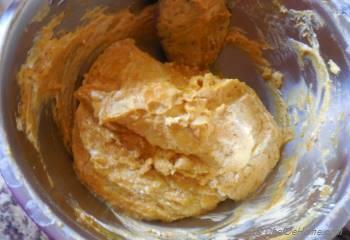 Add in rest of the whipped cream and combine it with cut and fold actions just until combined. 7. In a spring form pan lined with parchment paper, layer half of the ladyfinger cookies at the bottom. 8. Layer half of the pumpkin mousse on top and gently level it with gentle stokes taking care not to loose the airy mousse volume. 9. Repeat step 7 and 8 to finish layering the cake. Cover with plastic wrap and refrigerate for minimum 4 hrs or till ready to use. 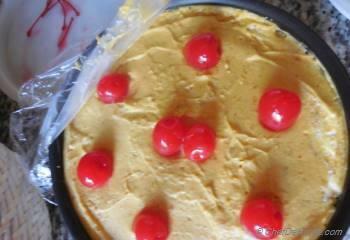 Just before serving, decorate with cherries and enjoy.